Marec (Maasland Recreation Centres) came into existence on the banks of the River Meuse, a river which has largely determined the history of the region. This rain river has its source in France and flows into the Hollands Diep in the Netherlands. By that time, it has already travelled a distance of 925 km. A large amount of gravel has been extracted from this region over the years. The gravel and sand from the Meuse valley was deposited during the fourth Ice Age (Quaternary) by the Rhine and Meuse rivers. This took place about 400,000 years ago. The deposited debris originates from the Ardennes, Alps, Vosges and Black Forest. Gravel was being mined in Maasland from as early as in the 19th century, when farmers transported gravel by horse-drawn cart for road construction. After World War I, gravel was extracted for construction purposes and for the emerging coal mines in Limburg. The large-scale industrialisation of gravel extraction took place after World War II for the purpose of reconstruction, construction of paved roads, the concrete industry in general, as well as for the Delta Works in the Netherlands that were intended to protect the Netherlands against natural disasters such as that in 1953. Soon after the start of industrialised gravel extraction, the political world realised that it also needed to think about the reuse of gravel extraction sites after the mining ended. This led to an agreement and later to a legal framework, whereby the gravel extraction companies had to pay specific amounts per ton of gravel extracted for the repurposing of the extraction sites. This led to the creation of the Heerenlaak and De Spaanjerd areas in Maaseik and Kinrooi. Marec is responsible for the exploitation of these areas. It is an inter-municipal partnership between the City of Maaseik and the Municipality of Kinrooi. Both these two municipalities are 50% shareholders. 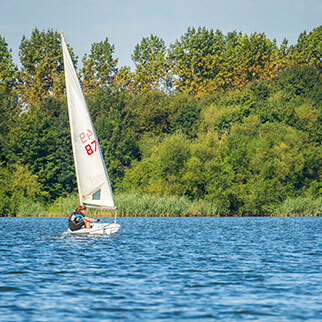 Marec takes care of the operation of the projects at Heerenlaak in Maaseik and De Spaanjerd in Kinrooi, which includes: marinas, camper parks, the round-trip boat and the day beach. Here you can view the water levels around Heerenlaak and De Spaanjerd. Do not forget to check the opening hours of the locks in and around Marec.